Was This Why My Scan Delay Put Me On DEATH’S HIGHWAY? Was This Why My Scan Delay Put Me On DEATH‘S HIGHWAY? one is forced to wonder if this is the reason why a scan I should have had in the first 2 weeks of 2011 was delayed until 04-Apr-2011 thus necessitating Chemo & Radiation! Had Chemo been needed it could have commenced by the end of January – yet at that stage a simple coin (cuff) cut around the tumour on the bladder wall MIGHT have been all that was required. It can be argued that due to NHS Wales dishonesty and crass incompetence CLICK HERE a deliberate policy decision was taken to withold treatment by ensuring there was insufficient Radiography facilities for early detailed diagnosis of cancer. Or was my cancer the result of an even more sinister decision making process as revealed in the article below. Do the numerous QUANGOs feeding parasitically off of The NHS and the excess of management directly cause the inadequacy of the direct clinical budget to deliver the service Lord Beverridge defined before the bufoon Aneurin Bevan politicised the set up of The NHS when given the job of implementing the NHS Plans of Beverridge’s. Family doctors have been ordered to ration the number of patients they send for life-saving cancer scans to save money. They are being told to slash the number they refer to hospital for tests including ultrasounds, MRIs and CT scans commonly used to spot tumours. Last night experts warned the cost-saving measures increased the risk of patients being diagnosed too late and dying unnecessarily. Britain has one of the lowest cancer survival rates in Europe, and experts say late diagnosis is to blame. The cuts are being brought in despite Government pledges to give GPs better access to cancer tests in the hope of saving 5,000 lives a year. Health Secretary Andrew Lansley promised to set aside £750million to help family doctors send patients directly for scans instead of having to refer them to a consultant to decide whether or not they should have a scan. This process could add several weeks on to the diagnosis by the time patients have waited for an appointment and a slot for a scan. But it has since emerged that a quarter of Primary Care Trusts are actively discouraging GPs from sending patients for these tests. The figures were obtained through a freedom of information request by GP Newspaper. 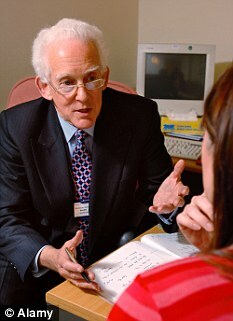 Of the 116 PCTs which responded, a quarter said they had policies to reduce ‘inappropriate’ referrals by GPs for scans. And five – Bury, Salford, South West Essex, Southampton and Stockport – have banned family doctors from sending patients directly for scans, flying in the face of the Government’s pledge. 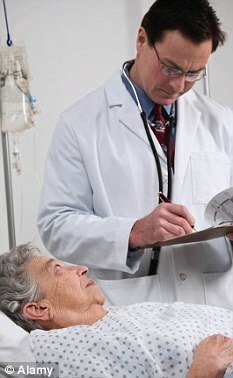 Instead they are being encouraged to refer patients to hospital doctors who will decide whether or not they need a test. Dr Clare Gerada, chairman of the Royal College of GPs, warned that stopping GPs from sending patients for scans will delay diagnosis of cancer. She said: ‘This is about money and finances, not about putting patients first. Lindsay Wilkinson of Macmillan Cancer Support said: ‘Earlier diagnosis makes a huge difference to the chance of surviving cancer. It is vital that GPs are given direct access to diagnostic tests so that those with suspected cancer are diagnosed at the earliest opportunity. 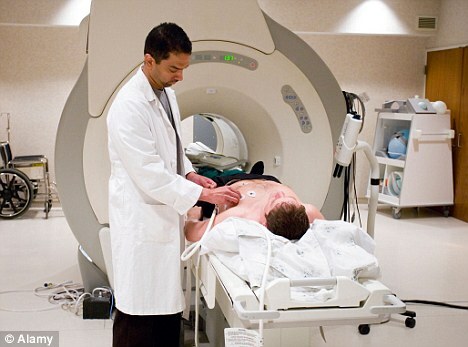 Millions of patients a year are referred to hospital for scans including MRIs, ultrasounds, CTs and colonoscopies. They are often used to check for tumours but also to diagnose heart disease, strokes, Alzheimer’s Disease and problems with joints. PCTs have to pay a hospital for every patient referred for a scan. A CT scan can cost up to £600, an MRI around £500 and an ultrasound about £100, on top of the cost of a patient seeing a specialist. Last year a major study showed that the UK had consistently lower survival rates for some of the most common cancers compared with Australia, Canada, Denmark, Sweden and Norway. Patients with conditions such as heart problems, lung disease and diabetes will be encouraged to treat themselves at home rather than seeing a GP. Under guidelines from the Royal College of GPs, 15million sufferers could be taught to carry out tests such as measuring their blood sugar, before giving themselves the correct dose of drugs. It is hoped it could save the NHS millions of pounds in unnecessary appointments. But critics have warned that relying on patients to look after themselves is ‘unsafe’ and could put lives at risk. In January Andrew Lansley promised to ensure Britain’s cancer survival rates were ‘the best in Europe’ by giving GPs better access to tests. Professor Sir Mike Richards, National Clinical Director for Cancer, said: ‘Early diagnosis of cancer is a very high priority for the Government. That is why the Cancer Outcomes Strategy, which we published earlier this year, put an emphasis on improved GP access to diagnostic tests. Although the NHS has been protected from the Coalition’s programme of spending cuts, in reality it needs big above-inflation rises every year just to ‘stand still’. This is because of factors such as the ageing population and rapid medical advances. Many workers in the NHS argue that the 0.1 per cent real terms annual rise in the NHS budget is, in reality, a fall. Health trust bosses have also been told to make £20billion in efficiency savings over the next few years. You may find the TABS >MEDICAL LINKS< and also >CANCER LINKS< of help. . YOU are welcome to call me if you believe I can help in ANY way. This entry was posted in Andrew Lansley, Cancer, Decision making, Magnetic resonance imaging, NHS Budget Corruption, NHS Wales, X-ray computed tomography. Bookmark the permalink. ← Mary ARCHER is not alone!